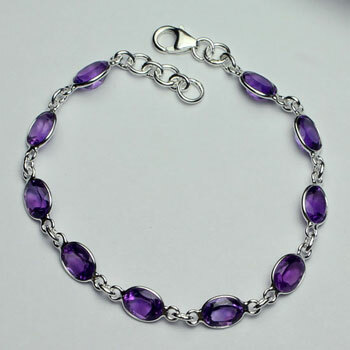 Amethyst Oval Cut Bracelet. Is a “stone of meditation” great physical healer for hearing, posture, teeth, bone, digestive tract, addictions, insomnia. It is in the family of quartz.